Rome was founded around 750 B.C. Around 509 B.C., the Romans revolted against their foreign kings and established a republic. This instilled in them a strong distrust of concentrated power. Roman expansionism was an ad hoc affair. Romans responded to crises, but found themselves involved in problems farther and farther away. The Gallic sack of Rome in 390 B.C. convinced them of the necessity of organizing strong defensive alliances with other Italian powers. By 275 B.C., the Romans were masters of -Italy. By 146 B.C., the Romans were the last remaining "superpower" in the Mediterranean world. 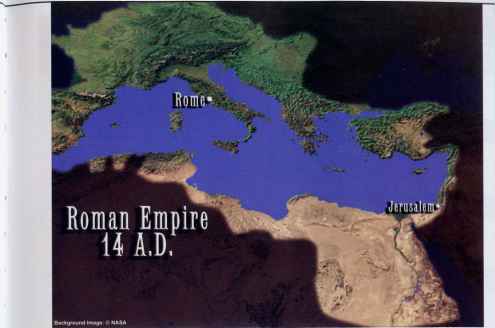 Roman involvement in the land of the Jews began in 64 B.C. 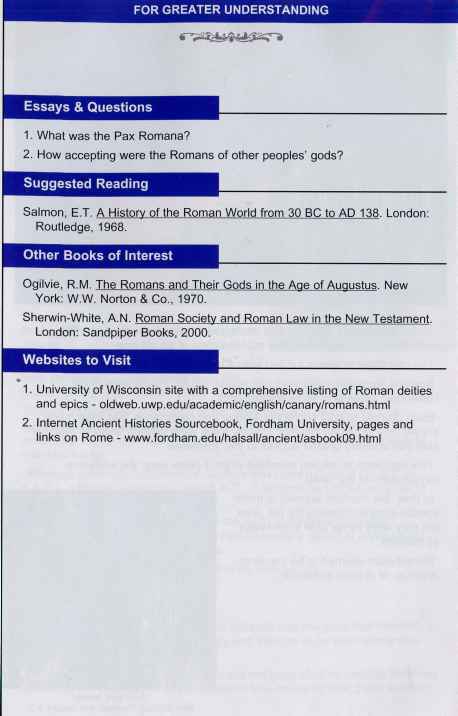 Various Jewish factions appealed to the Roman general Pompey for aid. 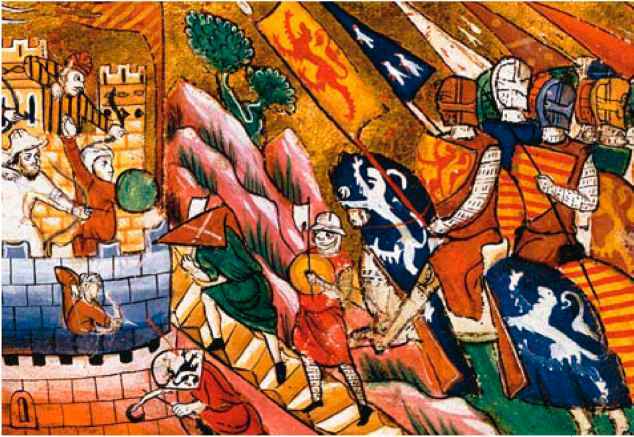 He intervened, setting up one faction and placing Roman garrisons in the region to maintain peace. Although nominally independent, Judaea was ruled by Herod (37 B.C. -4 A.D.), a Roman appointee. After 6 B.C., it became part of the province of Syria. 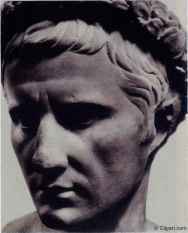 Large-scale civil wars culminated in the reign of Emperor Augustus (27 B.C. - 14 A.D.). Thus began the Pax Romana, a period of unprecedented peace and prosperity in the region. The Romans were pious people who believed that the gods had blessed them greatly. They considered impiety and atheism to be both wrong and dangerous. Roman piety led them to willingly accept the gods of other peoples that they encountered. This was widely believed to be a cause of their great success. There was always room for one more god or goddess, who was either viewed as a new deity or a new manifestation of an old one. The cult of the emperor fulfilled both a religious and political function. Romans were also infatuated with mystery cults. These were often Hellenized retreads of more ancient cults. Each claimed to hold secret knowledge and ceremonies that were made known only to certain initiates. Usually there were various levels of membership that afforded greater access to the "mysteries." This approach to religion stumbled when it came upon the exclusive monotheism of the Jews. In time, the Romans learned to make special accommodations for the Jews, but they were never able to eliminate all frictions. Monotheism seemed to be insulting, impious, or at least antisocial. 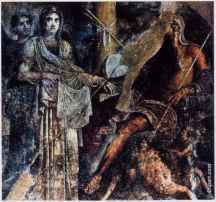 Wall painting, Pompeii, first century A.D.